You have heard the word blog and have seen one on the internet. However, if asked what online blog is, I would get a variation of answers, which are more or the same too. Nevertheless, by definition, online blog, connoted from the weblog is a website that can be accessed through the internet and it keeps information and journals for users to access. The blog is usually arranged in a reverse chronological manner displaying the latest of the information first. An individual or a group of people who write and post information on a specific subject such as categories or otherwise general information manage it. There is a thin line between the two, the blog and the website. Many may not even tell the difference, as they literally twin to put into perspective. Currently, companies and organisations have merged the two into one for an improved online presence. Therefore, what are the differences between the blogs and websites? A blog is an informative and engaging platform on the internet that requires frequent updates or publishing of new information. Both the readers and the writer get to express their views and concerns too. 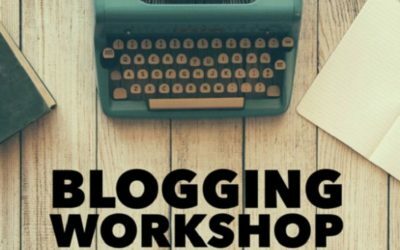 Thank you so much – the webinar on Blogging was very informative and I’m excited to start. Will let you know the progress and thank you again. I’ll look forward to more from you – finally information in “normal speak” and understandable to those of us who are “technically challenged”. The website might be referred to as a static internet platform wherein information barely changes. The pages on the website provide for information about the company or institution or provide a platform where you can log in and access services. Its content remains the same all through. Blogging is the art of running a blog through the production of new and relevant information that attracts readers. It also involves the skill of controlling and running a blog. Also, this requires one to provide the website page with relevant tools that make it easy for writing, posting, sharing and linking content easy online. The phenomena emerged back as we ushered in the millennium. It starts in the most probable field, politics. Politics being dynamic as they, they gave blogging a new life. People could engage with one another, give or discern others views or even hold discussions. Seeing the effect of blogging, many took an opportunity to weave it to sectors such as marketing, information, and even news. Moreover, it worked so well that currently, it is the only way to reach out to the world, as geographical aspects like news do not limit it. Blogging has kept its upward trajectory performance as internet and speed gets better every day. With the internet, information can be accessed by more users, anywhere and at the same time. Businesses realised the potential of the blogging culture. There are prospective clients on the internet and have incorporated it into their marketing strategies. It is a perfect platform to launch your business and its services to generate sales, too. Online marketing is one of the best performing sectors putting in mind that it started a few years into the new millennium. Blogging also provides a platform with the interactive journalism as the media houses can get better information from individuals from the base of the information consumption pyramid, raw reactions. It also has become a source of news. Individuals, just like the businesses also tapped into the potential of the ready market to sell a personality. A personal blog may be about food, hobby, teaching or just fun. Also, it is possible to earn as a blogger. It would be easier for you to convince your followers to support the brand you are endorsing. Just as a marketing agent, you get endorsements by companies or brands to promote and sell their products where you, in turn, get paid in commissions. You get to be paid to do something you are good at and happy doing it too. Get the edge over your competition – by understanding how to effectively use a blog on your website. Your business blog is one of the most powerful tools to attract new visitors to your website and to generate new leads and sales for your business. David Caruso has been a successful SME Business owner for over 29 years. From a sole operator based in Sydney, Australia, David successfully grew his small business into a thriving multi-million dollar a year success story. David is a sought after international speaker on the various topics of business strategies and marketing. David’s extensive background in the business world provides his clients with a unique advantage. His practical business growth strategies have been applied across a wide range of industries and organisations. Visit Business Blog Formula website and reserve your seat to a Free Business Blogging Webinar by Expert International Speaker, David Caruso!